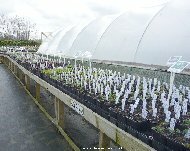 Many of the garden centres in Coventry started as nurseries and have gone on to develop into fully-fledged garden centres. Coventry isn't a county but it is a metropolitan authority. 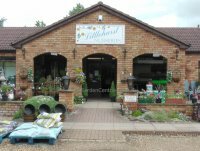 Situated in the heart of the West Midlands it has a long tradition of independent garden centres. 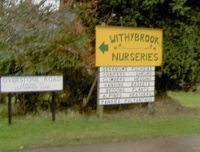 In general, many of the larger garden centres in this area have stayed true to their roots and still produce many of their own shrubs and plants, more so compared to many other parts of the UK. This has the benefit that you know the origins of the plants and also that many are not just imports from Holland or other other parts of the world. The reviews below are created as a a result of a visit or a telephone conversation. 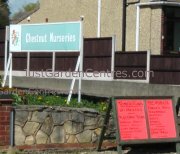 Avondale Nursery are on the site of a much larger nursery (Russell's Garden Centre) and the two combined make a good afternoon out. 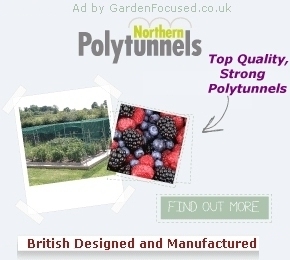 They specialise in unusual herbaceous perennials .... Click here for the full review. The ley Woods branch of B & Q is one of the largest in the UK and the attached garden centre stocks a good choice of healthy plants at prices often lower compared to nearby garden centres. Plants aren't the only ..... Click here for the full review. Baginton Nurseries is not open to the general public because they supply plants only to the horticultural trade. The business was started in 1981 as a relatively small concern but over the years it has ..... Click here for the full review. The site used to be a chicken farm in the 1940s but the family turned it into a plants nursery and its been in the same family from that time on. he site is simple enough, four or five very large greenhouses crammed ..... Click here for the full review. Click here for opening times. There is no cafe. This garden centre started out its life in the 1960s as a small nursery selling only plants. It was taken over by Wyevale (now Wyevale Garden Centres) in 1985 and has remained largely unchanged since that time. By the standards ..... Click here for the full review. Garden Plant Supply started business in 1989 as a small family business growing bedding plants from their back garden. They rely on personal recommendation to grow their business. Their specialisation is bedding ..... Click here for the full review. Also read our review of the Hilltop Cafe or click here for the garden centre opening times. The area devoted to plants could be described as that of a medium to large garden centre however at Hilltop they have managed to cram a lot of plants into this area. The paths are slightly ..... Click here for the full review. CV5 6BL and the other is at ..... Click here for the full review. HydroHobby is one of the largest web based suppliers of Hydroponics equipment in the UK. They also have a retail shop which carries the full range of their stock, It is situated on Brook Farm which sells home grown ..... Click here for the full review. Kings Hill Nurseries has been set up to help people with learning disabilities. At the same time however its is run on a commercial basis. 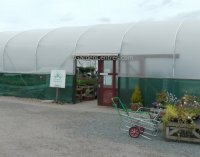 The people who grow the plants at this nursery do it with a passion rarely ..... Click here for the full review. The nursery consists of one very large greenhouse plus several smaller ones housing specialist plants. 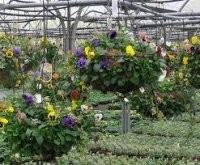 The most popular plants the grow are vegetable starters, bedding plants and hanging baskets. ..... Click here for the full review. The plants area has one of the highest percentage of covered area that we have ever seen. It makes it truly an all-weather destination with around 65% of the nursery being under cover. There is ..... Click here for the full review. Interestingly they manufacture all the waterfall sections themselves from resin. This has the advantage over concrete in that they don't degrade and can therefore be safely used where fish are present ..... Click here for the full review. When you think about your garden then Wickes might not immediately spring to mind as the place to go. But it all depends on what you want to buy for your garden. If it's multi-purpose compost, top soil ..... Click here for the full review. Picture courtesy of Steve F.
They are specialists in growing conifers and in spring they sell bedding plants. They also sell a small range of other plants. The nursery has been in the same family from 1979 and it was a nursery ..... Click here for the full review.